Hello good people. It’s a brand new week. How our mental health is improved by our levels of physical activity is on the front burner this week. Here we go……………………………….. 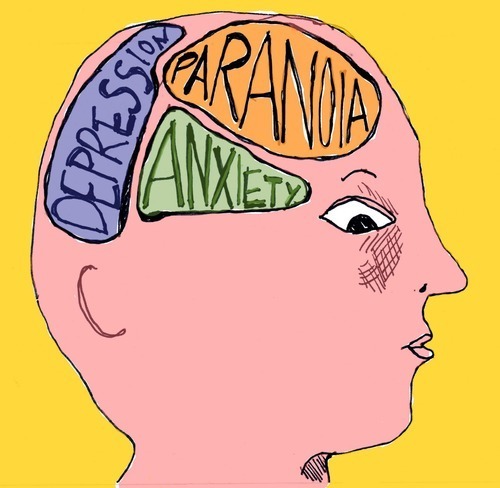 Mental illness is a health issue of public health importance. Recently, news of people committing suicide as a result of depression came to the fore. An example of this was the death of the popular Hollywood actor/comedian. Some leading experts have postulated that mental illness is expected to account for 15% of the global burden of diseases by 2020. This will probably make it one of the leading disease burdens globally. The World Health Organization defined health as the state of complete physical, social and mental wellbeing and not merely the absence of a disease or infirmity. This tells us we cannot afford to neglect the mental dimension of our health. It is a core component. Depression, eating disorders and excessive anxiety are common examples of mental disorders affecting various individuals. Recently, the widespread belief that physical activity helps in improving mood state is gaining ground. This view has been backed by studies done on the effect of physical activity on mental health. Most of these studies were primarily focused on depression, anxiety and self-esteem. 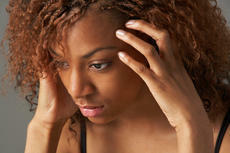 Depression is a clinical state characterised with low mood, poor appetite, insomnia etc. The severe form of depression usually gives rise to suicide ideations, which eventually may culminate into such decision making by affected individuals if not treated in good time. Evidence from adult studies demonstrates that physical activity is associated with symptoms of depression, and there is some evidence that this relationship is causal. Though there is a paucity of data on this, the few studies carried out have shown that, physical activity over no intervention seems to be potentially beneficial for reducing depression. Studies have also shown that active adults report fewer symptoms of anxiety than inactive adults. However, like the studies on depression the evidence base is limited and in need of further research. Self-esteem reflects the degree to which an individual values himself or herself and is widely viewed as a key indicator of positive mental health and well-being. To further underscore its importance, self-esteem is the penultimate of a 5-step hierarchical and pyramidal framework known as Maslow’s hierarchy of needs. The belief that physical activity, including sports, is associated with the development of self-esteem in young people has also been the focus of researches. A recent Cochrane meta-analysis by Ekeland et al 2005, examined whether exercise interventions improved globally, the self-esteem among children and young people aged 3–20 years. The results showed that in the eight trials available for meta-analysis and testing an exercise-alone intervention versus a no-intervention control, there was a small-to-moderate effect in favour of the intervention group. Literally, this means that participating in exercise was found to be beneficial in reducing depression. (a) Intelligence; which is the ability to reason quickly and abstractly. © Academic achievement; usually assessed by overall school grades and performance. 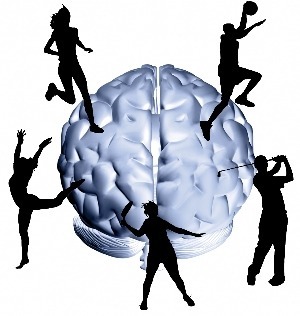 A link between cognitive functioning and physical activity was reported by Blakemore et al 2007. He reported that the brain is activated during physical activity by increasing blood flow to essential areas that may stimulate learning. Further researches have also suggested that integrating physical activity into the classroom will improve student learning. This post will not be complete if I do not write a few lines on sedentary behaviour and mental health. Sedentary behaviour is commonly defined as “sitting time”. This can be high in the contexts of leisure time (e.g. screen time), school and travel (i.e. car use). In most researches carried out on this topic, evidence was inferred from studies involving young people centred on their screen time (TV viewing in particular). Results from such studies showed consistent negative mental health associations with sedentary behaviour, (screen viewing time). Therefore people, sitting down for long periods on a daily basis is detrimental to our health. Find the time, better still, make the time to exercise (30 minutes in 24 hours). The Truppr app is also available for download. Start the exercises, stop the “exercuses” (apologies to Ann Gates).